Everyone wants to have a glowing and flawless skin. 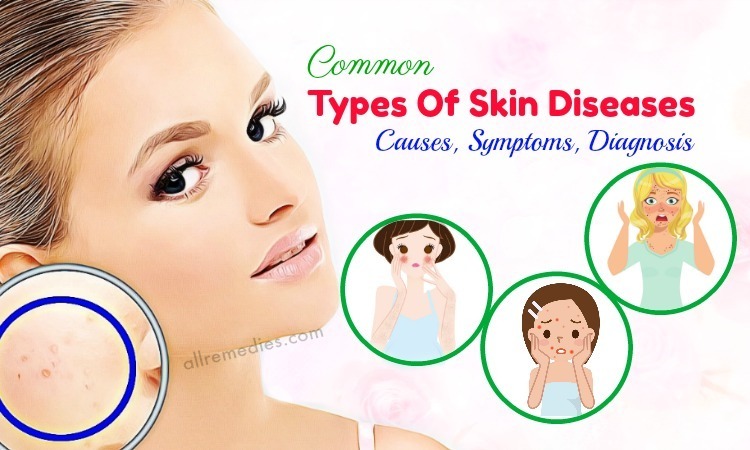 However, many skin problems like acne make us feel disappointed and stressed. Acne breakout is a common skin condition we may suffer at some points during our life. Acne breakouts occur if excess oil is produced or dead skin cells and dirt are clogged in the skin pores. Teenagers are at increasing risk of developing acne on their skin due to the hormonal changes. Some people may get acne breakouts because of stress and depression. Some people may be affected due to the unhealthy diet. It is important for you to know which an ideal diet for acne sufferers and which foods that cause acne breakouts in adults. You should stay away acne causing foods and live a healthy lifestyle. 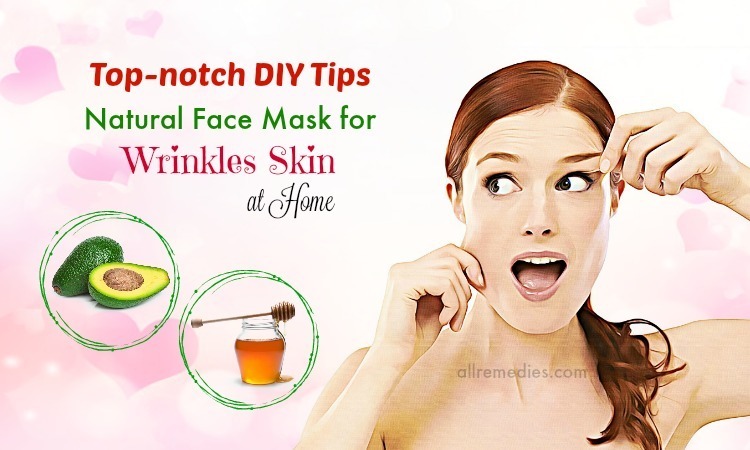 That helps improve your skin complexion and make your skin look flawless. In this article, I would like to introduce to you a list of foods that cause acne breakouts in adults. Here are some specific foods that cause acne breakouts in adults that I would like to introduce to you in this article of AllRemedies.com. If you have acne breakouts, you should eliminate one food in this list for one week. For example, you should eliminate the greasy foods in the first week and then the dairy product in the second week. Any changes should be noticed and written in the notebook. If that food cause acne breakout, you had better avoid it. If you do not notice any improvement after removing that food in your diet, you can take it back to your diet. Lying in the list of foods that cause acne breakouts, chocolate is the first food I would like to introduce to you in this article. Eating chocolate is believed to cause acne breakouts. However, Dr. Ava Shamban, a California dermatologist, said that chocolate is not well proved as acne-causing foods due to lack of evidence. Although chocolate does not actually cause acne breakouts, a high fat or high sugar diet may increase the risk of developing acne breakouts by boosting inflammatory responses and increase oil production, according to Dr. Shamban. It means that acne suffers should not consume too many fatty foods and sugars. They can eat chocolate. However, it is recommended eating chocolate in moderation. It is important for acne sufferers to add more vegetables and fruits to your daily diet. If you have acne, you should skip eating chocolate in one week. If you see a significant improvement, it means that chocolate is your acne-causing food you should avoid. Some people eat spicy foods and then see the acne breakout on the next day. It is not surprising when spicy foods are foods that cause acne breakouts in adults. There is a close link between spicy food consumption and worsening of acne condition and breakouts. However, to prove spicy foods are acne-causing foods, more conclusive evidence is required. Both dermatologists and doctors say that the main triggers of acne are fluctuating hormones, improper use of cosmetics and family or personal history of acne. However, if you notice that eating spicy foods leads to acne or worsens your skin condition, you should remove or limit them in your regular diet. Some acne suffers avoid eating cheese or cheese-filled foods in your diet. They say that cheese is their acne-causing food. Is that true? Is cheese included in a list of foods that cause acne breakouts in adults? Some research and studies found the close link between cheese consumption and acne breakouts. Cheese may stimulate hormone insulin, which increases the sugar absorption in our cells. Overconsumption of cheese can lead to high blood sugar, resulting in acne breakouts. If cheese causes your acne condition, you should eliminate cheese in your diet. Nuts are considered as the healthy food because it is loaded with essential nutrients and beneficial properties. You may be surprised when seeing nuts in a list of foods that cause acne. Some sufferers from acne see the worsening of their skin condition after consuming nuts. A collection of studies published in the Journal of the American Medical Association showed that nuts are not a direct trigger of acne. However, nuts are included in a high-glycemic diet that increases the risk of developing acne breakouts. It is recommended following a low-glycemic diet that includes fresh fruits, lean proteins, and green vegetables to have a lean, healthy and flawless skin. If nuts worsen your acne condition and lead to acne breakout, you should exclude them in your diet. To prove certain foods are acne-causing foods, conclusive research and studies are required. The connection between peanut butter consumption and acne breakouts is not clear. However, sufferers from acne often remove peanut butter from their diet because they believe that peanut butter results in acne breakouts. Therefore, I would like to mention peanut butter in an article about foods that cause acne breakouts in adults. About 41 percent of acne sufferers experience frequent breakouts. Peanut butter is a healthy food that results in hormonal imbalances. Hormonal imbalances contribute to acne breakouts. Sushi is included in a high glycemic diet that increases the insulin levels in your body. People who follow a high glycemic diet are prone to the frequent and severe acne breakouts. This is because high levels of insulin may lead to an inflammatory response that stimulates acne-promoting hormones. A study found out that eating a lot of rice daily can increase insulin release that results in acne breakouts. Acne sufferers avoid consuming milk because they believe that milk is one of the foods that cause acne breakouts. However, there is not enough evidence to show that milk is a direct trigger of acne problem. Some people see further acne breakouts after drinking a few cups of milk. Milk is included in a high glycemic diet. We all know that a high glycemic diet may increase the risk of developing acne breakouts. A high glycemic diet may increase the levels of insulin hormones and boost the sugar absorption. As a result, it affects the blood circulation, resulting in the appearance of acne and pimple on the skin surface. It is recommended following a low glycemic diet and adding more fresh fruits, green vegetables, and green proteins to a daily diet to improve the overall health and prevent skin issues. A low glycemic diet can help reduce the frequency and severity of acne. People who have acne problem can drink milk; however, the key is moderation. You should try eliminating milk in your diet for one week. If you see any improvement, it means that milk is your acne-causing food that needs removing from your diet. Dairy products are avoided by many acne sufferers. The direct connection between dairy products consumption and acne breakouts is not clear. However, a number of studies found out that acne is caused by the hormonal response. Acne breakouts often occur when the sebaceous glands and skin pores are clogged by dead skin cells, oils, and debris. That results in inflammation and inevitable acne breakouts. Many studies found out the close link between a diet and beauty. A diet plays the important role in maintaining the beauty that includes the hair, skin, and nail. Many people believe that diets high in dairy products may lead to acne breakouts by affecting the insulin hormones in your body. If you doubt whether dairy products are acne-causing foods, you should remove these foods from your diet for at least 6 months to see any improvement. If pizza and other dairy products like cheese and milk do not cause your acne condition, you can take them back to your diet. Looking for unhealthy foods that cause acne breakouts in adults, you should not miss French fries. After eating French fries and other greasy, fatty and deep fried dishes, you may end up with a lot of pimples and acnes appear on your face the next day. Certain foods like French fries are not direct causes of acne and pimples. However, regular consumption of unhealthy fatty and deep fried foods like French fries may reduce the absorption of nutrients and vitamins in your body. Moreover, it affects the energy source. That is a reason why eating French fries leads to fatigue, craving, and tiredness. These unhealthy foods result in a hormonal response that put us at the increased risk of pimples and acne breakouts. Pimples and acne appear on your skin when the sebaceous glands and skin pores are clogged with excess oils, cells, and debris. The clogged sebaceous glands and skin pores are prone to yeast and bacterial. Bacterial inflammation causes acne and pimples. Besides French fries, potato chips are an unhealthy food and one of the foods that cause acne breakouts in adults that acne sufferers should avoid. Overconsumption of potato chips results in a hormonal response that causes acne breakouts. For instance, the increased androgen hormones in not only male but also female may make sebaceous glands enlarge. As a result, they are prone to dirt, cells, and oils. Moreover, the hormonal response increases the oil production. Potato chips are included in the high glycemic diet because they are high in carbohydrates. Foods high in carbohydrates results in an insulin increase that leads to acne problem and breakouts. Therefore, if we look for foods that cause acne breakouts in adults, you should not miss potato chips. Other carbohydrate-rich foods in the high glycemic diet include bread, crackers, and chips. 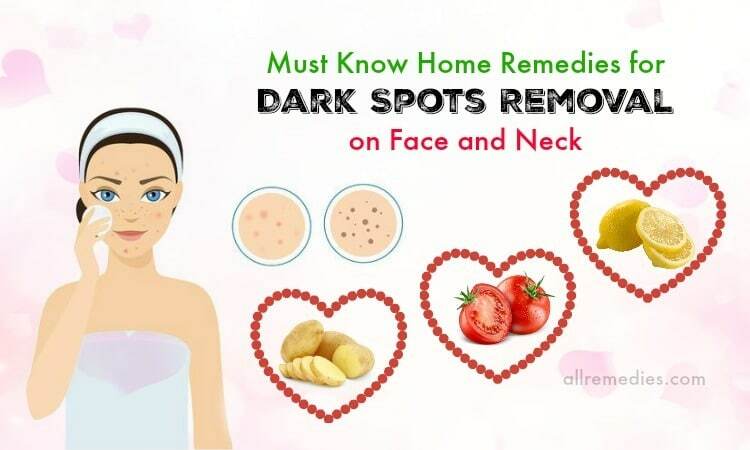 It is not surprising the inevitable pimples and acne appear on your face the next day after you eat potato chips and other carbohydrate-rich foods. However, it does not mean that you need to all sweetness. You can eat fresh fruits that are good for your overall health and beauty. If you enjoy drinking fruit juice, you should not add any sugar to it. If you like something sweet, it is recommended replacing sugar with raw honey, stevia or maple syrup. Many people like drinking a cup of coffee in the early morning because it can help provide energy for a new day and increase your concentration. Coffee should not drink in the evening because it causes difficulty sleeping. Moreover, acne sufferers should avoid drinking coffee. This is due to coffee is one of the foods that cause acne breakouts in adults. Coffee beans contain an organic acid that increases the cortisol levels. Cortisol is one of stress triggering hormones. High cortisol levels result in the increase in androgen hormone that causes inflamed sebaceous glands and acne breakouts. A study found out that caffeine in coffee is not a cause of acne . Therefore, to prevent further breakouts, you can replace coffee with caffeinated beverages like yerba mate and tea. If you see acne and pimples appear around your mouth and your jawline, certain foods like tofu and soy foods may contribute. Soy is one of the foods that cause acne breakouts in adults because of the natural plant estrogens present in soybeans. Soy may be added to everything such as energy bars or veggie burgers. Therefore, it is important for you to read the labels carefully before purchasing something in the market. Acne sufferers should avoid eating croissants, baguettes, and bread. This is because they are foods that cause acne breakouts in adults. Eating these foods may worsen your acne condition. Wheat is a trigger of body inflammation. As I mentioned above that sufferers from acne and acne-prone people should eat anti-inflammatory to avoid breakouts. The produced bread contains three-triggering ingredients such as soybean oil, sugar, and dairy. It is a reason why eating some English muffin (made from soy, dairy, and sugar) results in the appearance of acne and pimples the next day. 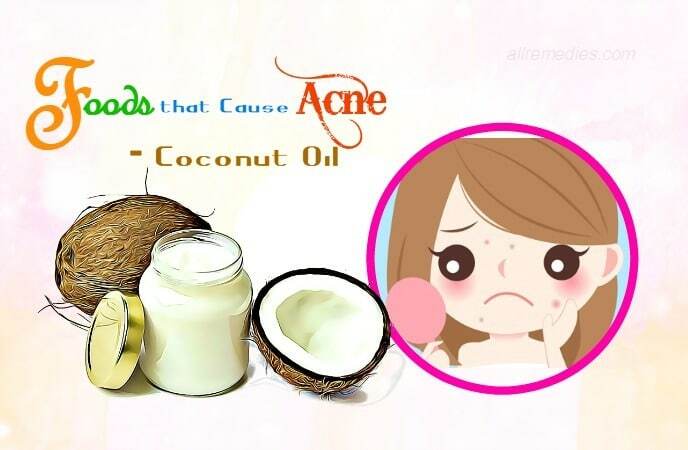 Coconut oil is believed to be one of the foods that cause acne breakouts in adults. It is comedogenic oil. Consumption of coconut oil may increase the oil production. 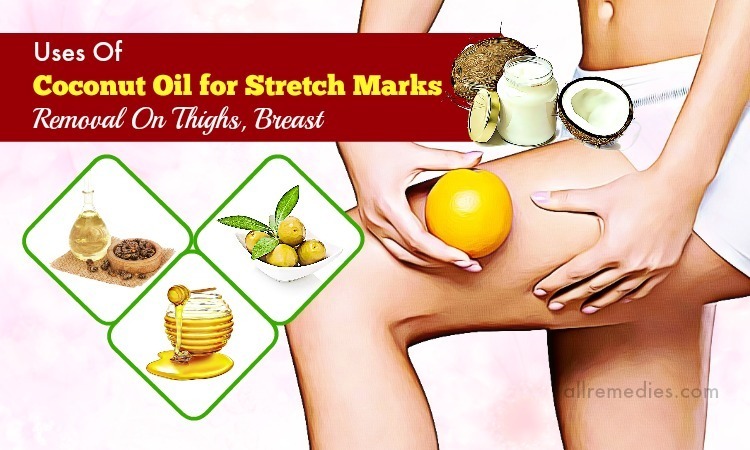 The excess oil may clog the skin pores. Moreover, coconut oil causes inflammation. If you see the acne and pimples appear along with your jawline and on your cheeks, coconut oil may be the culprit. Coconut oil can be cooked with foods or applied topically for different health and beauty benefits. However, if you have oily or acne-prone skin type, you should remove coconut oil from your diet. Soda is believed to lead to acne breakouts; however, more studies are required to prove soda is one of the foods that cause acne in adults. However, it is undeniable that cola-flavored soda causes skin damage because it contains tons of sugar and acids. Coca-flavored soda not only causes acne but also damages your bone and teeth. Therefore, if you want to prevent acne and pimples, you should avoid the soda and opt for water instead. Moreover, cola-flavored soda consumption may result in weight gain because it is included in calorie-rich beverages and it leads to craving. Think twice if you want to drink alcoholic beverages. Alcohol is among the foods that cause acne breakouts in adults that I would like to introduce to you in this article. Containing diuretic properties, alcohol can remove fluids in your body. As a result, it causes dehydration. Alcohol results in the appearance of pimples and acne on your face the next morning. Moreover, heavy drinkers may suffer from many skin problems such as dryness, wrinkles, age spots and fine line. This is because alcohol speeds up the aging process. We all know that sodium is a trigger of facial and eye bloating. Moreover, salt or sodium is among the foods that cause acne breakouts in adults. It is another reason why you should avoid adding too much salt in the cooking dishes. There is a close link between salt consumption and skin problems, including acne. To prevent the acne breakouts and control the effects of sodium, you should eat foods rich in potassium and drink at least 8 glasses of water to keep your body hydrated. Although agave is considered as an all-natural sweeter, overconsumption of agave causes some unwanted health effects. This is because agave contains up to 97% fructose. Fructose contributes to the body inflammation. Moreover, it is stored as fat in your liver, which affects the liver function. Liver loses its ability to remove toxins and waste from your body. Body inflammation and accumulation of toxins in the body lead to the formation of acne and pimples on your skin. Fructose malabsorption increases the risk of not only acne but also eczema. Therefore, agave should be included in foods that cause acne we should avoid during our diet. If you want to add something sweet to your drink and dishes, you should choose the least processed sweeteners such as local honey or raw maple syrup. Having an extremely high glucemic index, bagels are one of the foods that cause acne breakouts in adults I would like to introduce to you in this article. Consumption of bagels increases levels of insulin in your body and lead to the body inflammation. The body inflammation can accelerate aging process and put you at the increased risk of rosacea and acne. Bagels are not a healthy breakfast because it has harmful effects on your overall health. It can lead to overweight, diabetes or high blood pressure. To keep an ideal weight and maintain the flawless skin, you should try the oatmeal topped with fresh fruits. Tomato contains amazing health and beauty benefits. 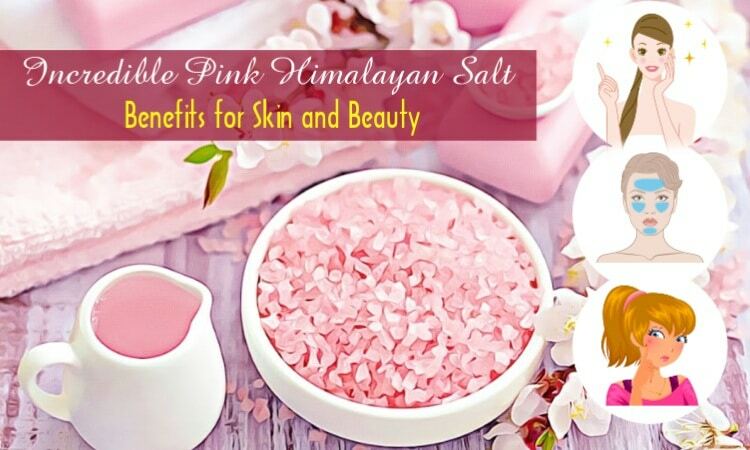 It aids in weight loss, reduces cholesterol levels, makes your skin glowing and rosy, and slows down the aging process. However, jarred tomato sauce is one of the foods that cause acne and pimples you should avoid in your diet. Jarred tomato sauce contains tons of sugar that has numerous harmful effects on your health. The problems related to overconsumption of sugar include excessive oil production, clogged skin pores, cysts and even body inflammation. All these effects of sugar in jarred tomato sauce and other foods lead to the formation of pimples and acne on your skin. Jarred tomato sauce that sold in the market is not good for your health and your beauty. It is better for you to make your homemade sauce. Making the homemade sauce, you can control the needed ingredients, including sugar. Buttered popcorn is loaded with butter, salt and carbohydrate. These ingredients in buttered popcorn increase the risk of various health issues and beauty problems. One of them is acne. Therefore, in the article about foods that cause acne breakouts in adults, you should not miss buttered popcorn. Butter has no substantial nutritional value. Fried chicken, burgers and fast food meals should be excluded in your diet if you want to have a clear and healthy skin. This is because they are rich in saturated fat. People who consume more saturated fat in their diet are prone to acne and pimples as well as other skin issues. Saturated fat stimulates certain growth factors that lead to breakouts. All fruits are healthy, right? It is not true for all varieties of fruits. Dried fruits are loaded with refined carbohydrate and included in the high glycemic diet. It is a reason why dried fruits are foods that cause acne breakouts in adults. Refined carbohydrate and high glycemic index lead to high blood sugar and a dramatic rise in insulin levels. That stimulates the hormones causing excessive oil production and frequent acne breakouts. Pasta, white bread, cereal, and crackers also have high glycemic index and contain refine carbohydrate. 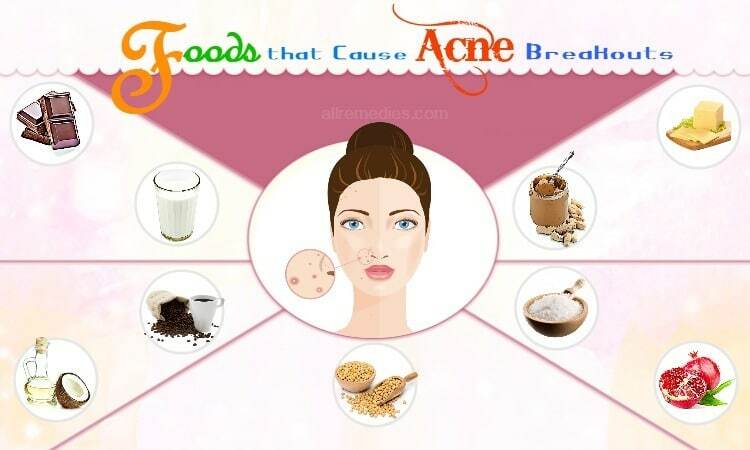 They are foods that cause acne breakouts. For the good health and flawless skin, it is recommended choosing fresh fruits and whole grains. Whey protein powder is one of the foods that cause acne breakouts in adults. If you suffer from acne problem, you should avoid consuming whey protein powder. Because whey protein powder is concentrated and pure, it causes problematic issues for your skin. For the post-workout smoothie, you should choose pea or vegan protein powder as the good healthy alternatives. If you look for your favorite meal replacement bars or snack, it is important for you to read the label of ingredients carefully before buying. Whey protein is one of the common additives that are often added to these foods. If you see whey protein listed on the label, you should not buy this food. According to the author of Eat Pretty: Nutrition for Beauty Inside and Out, Jolene Hart , lobster, and shrimp are loaded with iodine. 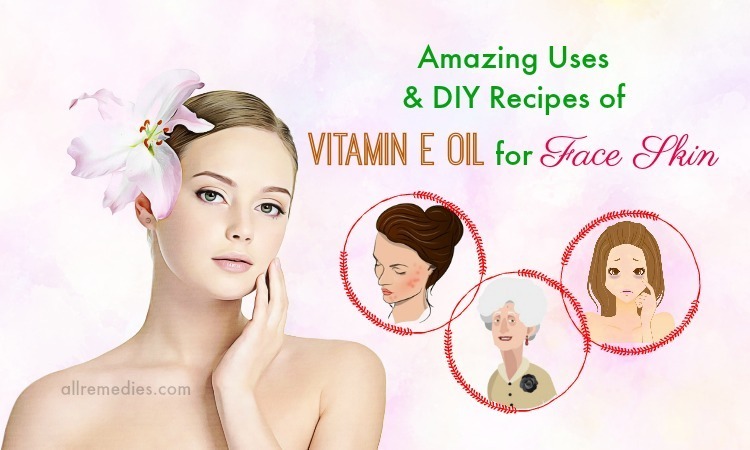 It is not undeniable that iodine, an essential mineral, has many benefits for both health and skin. However, if you consume too much or have a sensitivity to iodine , you may suffer from acne breakouts. 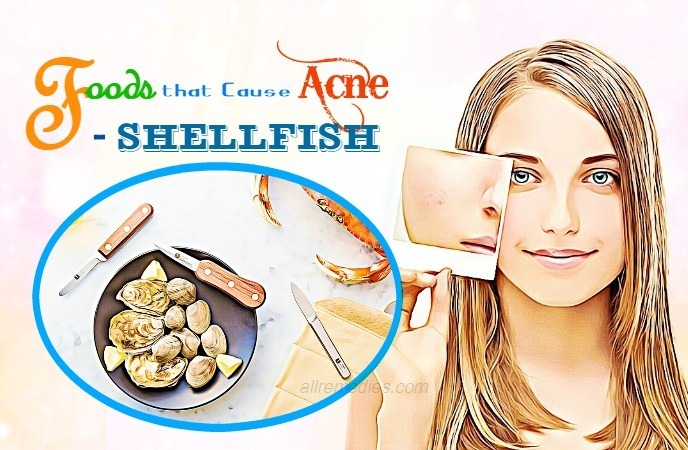 Therefore, we can add shellfish in a list of foods that cause acne breakouts you should consume in moderation. If you want to have a healthy skin and a good health, you should choose the seafood that is rich in omega 3 fatty acids, like salmon. Omega 3 fatty acid consumption is beneficial for your skin. It also has many health benefits. Both milk and chocolate are foods that cause acne breakouts in adults. Milk chocolate triggers acne and pimples too. This is because milk chocolate is high in dairy, refined sugar and trans fat. Milk chocolate should be avoided even when you do not suffer from acne and pimples. If you want to get the antioxidants, you should opt for the dark chocolate that is made with more than 70 percent of cocoa. Many people believe that all of the juice is healthy and good for your skin. However, the fact is opposite. Juice is one of the foods that cause acne breakouts and I would like to mention in this article. Most juice is high in sugar and they have no fiber. Overconsumption of juice can increase your blood sugar that boosts the sebum production. Increased sebum production results in the body inflammation that leads to acne and pimples. Sugar added in juice can accelerate the aging process and make wrinkles, fine lines and age spots appear on your face. Instead of drinking juice, you should eat whole fresh fruits. Talking about foods that cause acne breakouts in adults, you should not miss non-organic meat. Non-organic meat has the harmful effects on your health and beauty. 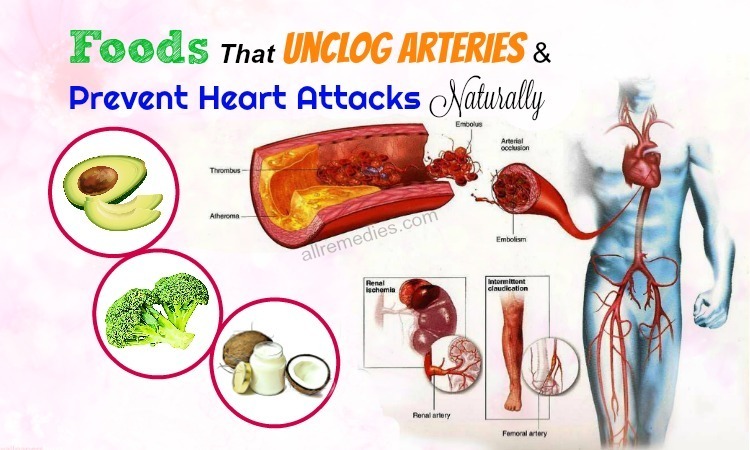 It results in weight gain, diabetes, high cholesterol levels and other health problems. When you choose the meat in the market, it is important for you to consider organic meat. Non- organic meat is beef, poultry or pork that is rich in antibiotics. The animals are fed with antibiotics and kept healthy before processing for meat. Continuous exposure to antibiotics affects the balance between the bad and good bacteria in the body. Good bacteria on the skin play the important role in keeping your skin healthy and preventing many skin problems. 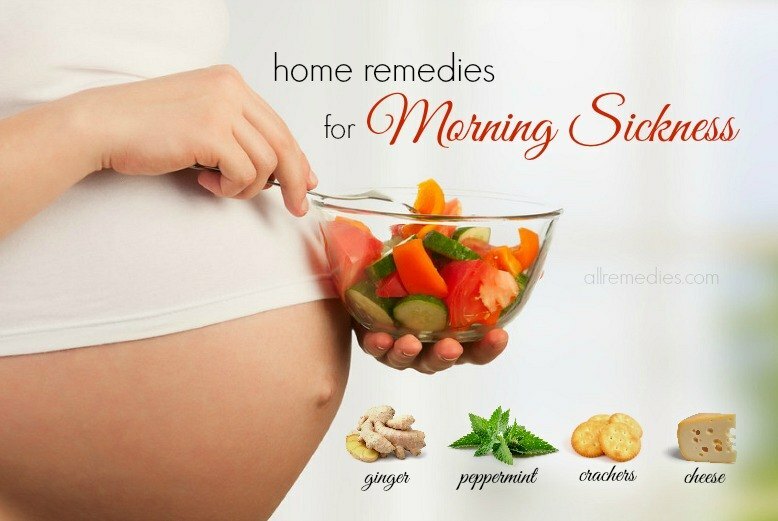 It is important to increase the good bacteria and reduce bad bacteria in your body. Therefore, if you want to have a good health and a flawless skin, you should eat antibiotic-free or organic meat. Moreover, yogurt and fermented foods that are great sources of probiotics should be consumed on a regular basis because it increases the good bacteria in your body and boosts your immunity. Mojitos, margaritas and other mixed drinks that are high in sugar and alcohol are mentioned in the article about foods that cause acne breakouts in adults. Sugar overconsumption leads to the high blood sugar and body inflammation. Containing diuretic effects, alcohol makes your skin dehydrated. 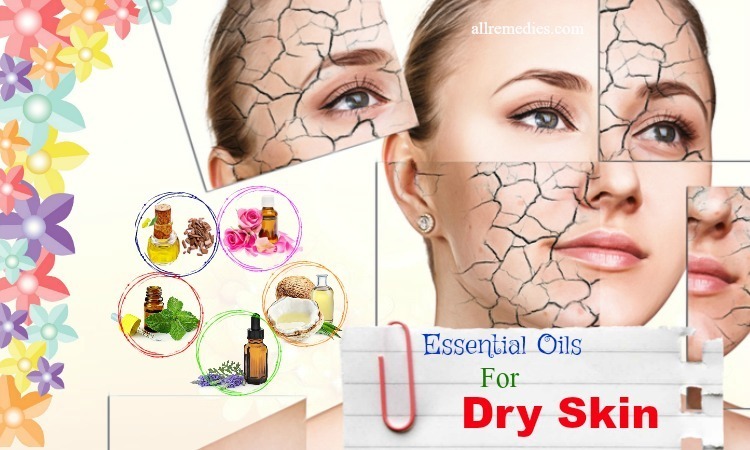 The dry skin is prone to clogged skin pores and breakouts because it is not exfoliated well. The cells and dirt that get clogged in the skin pores leading to the formation of acne and pimples on your skin. If you want an adult beverage for the party, you should opt for a glass of red wine. Red wine is a great source of antioxidant resveratrol. Some studies found out that antioxidants reduce acne and pimples. Ice cream may be one of the worst foods that cause acne breakouts in adults. Many scientific studies found the close link between ice cream consumption and acne breakouts. This is because ice cream contains tons of sugar. It is not surprising when eating ice creams leads to the appearance of acne and pimples on your skin the next day. Pizza is not only an unhealthy food but also one of the foods that cause acne breakouts in adults. Pizza has no benefits. Moreover, it is included in a list of foods that cause acne breakouts in adults. Pizza is loaded with carbs and dairy. Pizza is the worst food for your health and your skin and it should be removed in your diet. The cheese in pizza also contributes to acne breakouts and other health effects. People who eat pizza regularly may suffer from various health problems such as obesity and high blood pressure. Many people believe that eating rice cakes can aid in weight loss by removing fat in the body. Not many people know that rice cakes are one of the foods that cause acne breakouts in adults you should avoid in your diet. This is because eating rice cakes can increase the blood sugar and lead to the appearance of aging signs such as wrinkles, fine line and age spots. The simple carbs in rice cake are metabolized and converted to glucose in the body. After that, glucose affects the collagen, putting you at the increased risk of wrinkles and fine lines. Dermatologists advise you not to eat rice cakes if your skin is prone to acne and pimples. It is important for you to eat a healthy diet that has a lot of green vegetables and fresh fruits. Not only children but also adults like eating candy; however, candy is included in a list of foods that cause acne. If children and teenagers eat a lot of candies, they may experience the awful adolescence with a lot of acne and pimples appearing on your face and your body parts. Some evidence showed that the Snickers bar contributes to the acne breakouts in adults. Candy contains tons of sugar that increase the blood sugar, damages collagen and affects elastin of the skin. It is important for you to increase protein intake because protein plays the important role in keeping your skin supple, soft and springy. 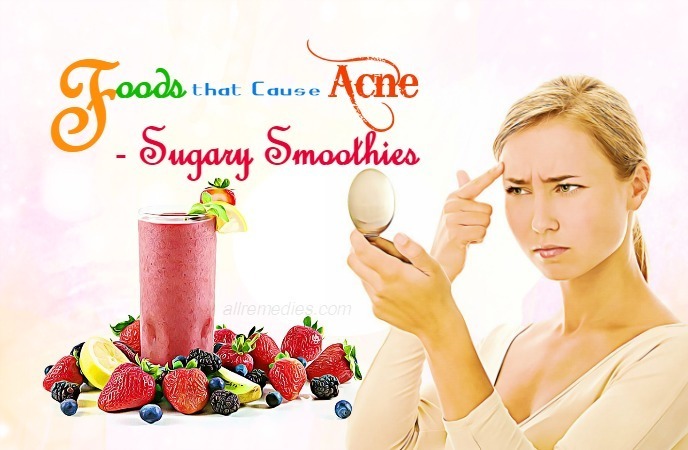 If you have acne-prone skin, you should avoid drinking a sugary smoothie. It is not only an unhealthy food but also included in a list of foods that cause acne and pimples in adults. It is estimated that American people consume about 22 teaspoons of sugar daily. These sugar sources almost come from sugary smoothies. In the smoothie recipes, there are fruit juice, sherbet, and frozen yogurt. They also add many tablespoons of sugar to make a glass of sugary smoothies. Many studies found out that sugar consumption contributes to acne breakouts. Moreover, sugar also contributes to many skin problems such as wrinkles, fine lines, irritation and saggy skin. Drinking sugar smoothies lead to weight gain, obesity, diabetes and high blood pressure. They increase the risk of certain cancer. To protect your health and keep your skin glowing and acne-free, it is important for you to eat healthy foods, maintain proper skin care and health care routine, and exclude sugary smoothies from your diet. If you are a fan of smoothie, it is recommended adding good ingredients such as low-fat yogurt or unsweetened nut milk. There are a variety of healthy smoothies for your health and skin you can look for on the internet. You cannot remove all fats from your diet because fats are good for your health and your skin. Consuming fats in a regular diet can make your skin supple and glowing. However, not all kinds of fats are good. It is recommended eating healthy fats. The trans fats present in margarine are the culprit of acne breakouts. Therefore, margarine is one of the foods that cause acne you should avoid or limit in your diet. Furthermore, a study published in the Journal of the American College of Nutrition found a close link between overconsumption of margarine and increased wrinkles. Salsa is believed delicious and healthy. It is loaded with fiber; therefore, people eat salsa for weight loss. Salsa is loved by a lot of people all over the world. However, it is now declared to be one of the foods that cause acne. It is due to the acidic properties of salsa. Salsa has tomatoes and vinegar. 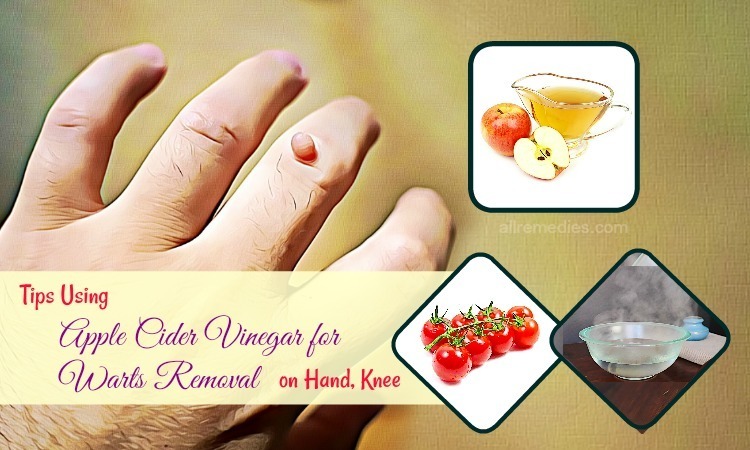 Tomatoes and vinegar are culprits of acne and pimples if consumed on a regular basis or in large amounts. If you are experiencing acne or are prone to acne breakouts, you should avoid or limit salsa in your diet. Not all yogurts are recommended eating. Low fat or sugar-free yogurt is healthy and beneficial for your skin because it can increase good bacteria in your body and boost your immune system. Greek yogurt is good for your health too. It is a great source of protein, potassium, calcium, vitamin B6, vitamin B12, and magnesium. However, if your acne condition is caused by Greek yogurt consumption, you should avoid or eat less Greek yogurt. To know whether Greek yogurt is the culprit for your acne condition, you should remove it in your diet for a few weeks and then see the difference. 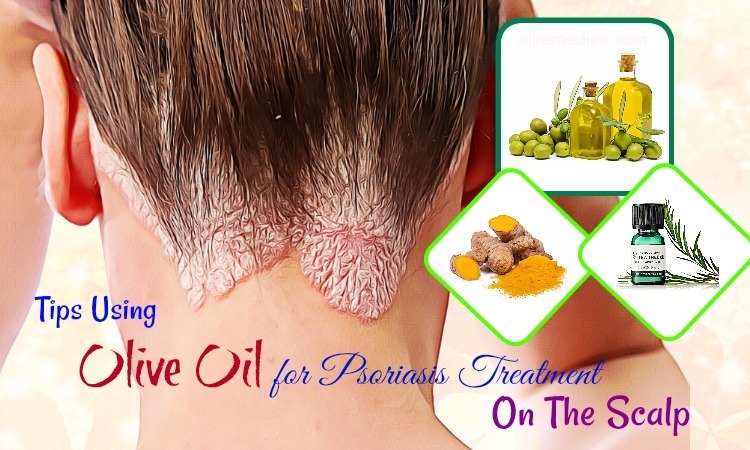 It is one of the foods that cause acne and pimples I also want to introduce to you. A research found out that the sodium, sulfites, and nitrates in bacon lead to inflammation and many skin conditions. Inflammation is a cause of acne and pimples. Moreover, the body inflammation damages your skin and results in other skin issues like wrinkles and rosacea. Bacon contains unhealthy fats that lead to the overproduction of oil. As a result, it worsens the acne condition. Therefore, if you want to remove and treat acne problem, you should avoid or limit bacon in your diet. Pancake is delicious and many people enjoy eating it. However, it is harmful to your health and your skin. It is one of the foods that cause acne breakouts and pimples. You should eat fewer pancakes in your diet. You should think about the bad effects of pancake on your health and beauty to make a smart choice. Jackfruit can lead to hot body temperature and acne breakouts; therefore, you should avoid eating it too much in muggy weather. Jackfruit is one of the foods that cause acne and pimples. Durian is a healthy food that is loaded with folic acid, vitamin C, riboflavin, thiamin, sodium, magnesium, potassium, iron, zinc, calcium, and phosphorous. Therefore, eating durian is believed to strengthen your bones and teeth, prevent the appearance of wrinkles, reduce blood sugar levels, cure anemia, and protect cardiovascular health. Moreover, durian also contains numerous beauty benefits. Unfortunately, people who have the acne prone skin should eat less durian because durian is one of the foods that cause acne breakouts. Growing in the South of Vietnam, durian increases the body temperature if eaten too much. As a result, that leads to acne breakouts and pimples on your skin. If you like eating durian, you should eat this fruit in a small amount to prevent its harmful effects on your skin and still get the optimum benefits of durian. Besides durian, pomegranate is another fruit sufferers from acne breakouts should avoid eating too much. Pomegranate, a tropical fruit, is a great source of minerals and vitamins. Pomegranate consumption is a great solution for rectal prolapsed, sore throats and diarrhea. However, people with physical weakness should not consume pomegranate. People with acne-prone skin type should avoid pomegranate in their diet. Pomegranate is one of the foods that cause acne breakouts because it contains a lot of sugar. If you have acne and want to get a glowing and acne-free skin, you should limit the consumption of pomegranate. If you do not have oily skin and acne-prone skin type, you can eat a pomegranate. The powerful antioxidants found in pomegranate is beneficial for reducing and preventing aging signs such as wrinkles, age spots, and fine lines. Pomegranate also makes your skin hydrated and nourished if you know how to take it in proper way and amount. Not only peanut butter but also peanut is one of the foods that cause acne and pimples on your skin. That sounds surprising. Many people believe that peanut is a healthy food because it is rich in proteins, vitamins, and carbohydrate. Many studies found out that eating peanut is good for the kidneys and liver. 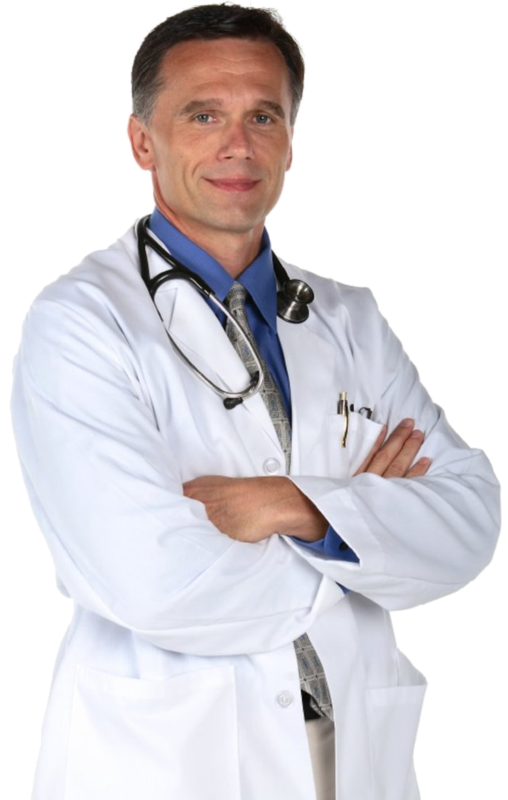 Doctors and nutritionists always advise patients with kidney problem to eat peanut on a regular basis. Unfortunately, if you have acne-prone skin type, you should limit peanut consumption in your diet. This is because an androgen found in peanut boosts the sebum production that leads to acne breakouts. Eating peanut may make your skin oilier. Your skin pores may be clogged with oil, dirt, and cells. Moreover, eating peanut also increase your body temperature that also worsens your acne. If you do not want to see the ugly acne and pimples appear on your skin, you should not consume it too much at once. Eating an apple on your empty stomach can help prevent constipation and diarrhea, which cannot be doubted. People with digestive problems are always advised to drink a cup of apple juice after each meal. But not many people know that apple and apple juice are foods that cause acne if you eat or drink too much. Apples are high in sugar and potassium. Over accumulation of potassium and sugar in your body leads to the appearance of acne breakouts. Moreover, excessive potassium and sugar have some harmful side effects on your heart and kidneys. Furthermore, patients with certain diseases and conditions such as kidney disease, coronary heart, heart attack and diabetes should not consume apples too much. Children and people who have to use their brain for work and study should eat mango on a regular basis. This is because mango can boost the brain and nervous system. It helps increase your brain ability in learning and remembering. Moreover, it prevents the cognitive decline caused by aging. Mango also has a lot of health and beauty benefits. Many people love eating mango. However, they do not know that eating too much mango have harmful side effects on your beauty and health. 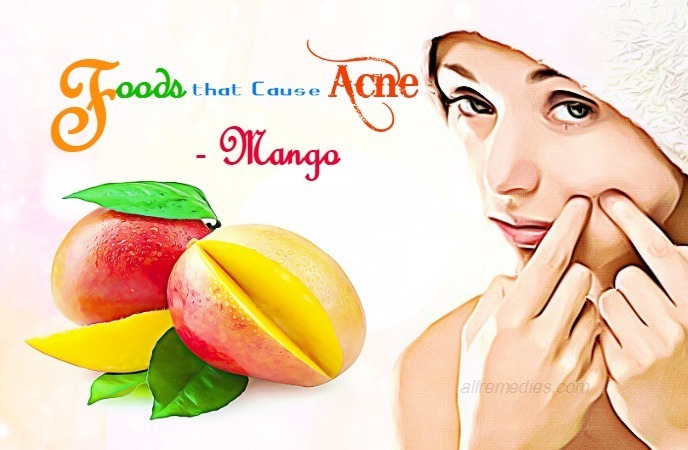 Mango is mentioned in the article about foods that cause acnes breakouts. Adults who eat the ripe and sweet mango in a large amount may suffer from acne and pimples. That does not mean acne is an unhealthy food. You can still eat mango because of its amazing health and beauty benefits. But it is important to keep in mind that excess consumption of mango may increase the body heat and lead to acne breakouts. You may be surprised when strawberries are mentioned in the article about foods that cause acne and pimples. You may have heard about a lot of health and beauty benefits of strawberries. For instance, vitamin C found abundant in strawberries is beneficial for your skin. Vitamin C is a powerful antioxidant that can help prevent free radical damages and the early appearance of aging signs such as wrinkles, age spots, and fine lines. Application of blended strawberries can help lighten your skin and get rid of dead skin cells. However, despite those amazing health and beauty benefits of strawberries, you cannot forget the fact strawberries are one of the foods that cause acne breakouts. Strawberries are high in vitamin C and natural fruit acids that may make your skin more sensitive. You should avoid eating strawberries too much to prevent acne breakouts. Spinach is considered as one of the foods that cause acne breakouts although this dark green leafy vegetable contains a lot of health and beauty benefits. Spinach is a great source of vitamins, minerals, and essential nutrients; therefore, eating spinach on a regular diet can help protect cardiovascular health, strengthen your bones, curing toothache and prevent high blood pressure. However, patients with acne-prone skin should avoid eating spinach too much. Spinach contains iodine that leads to acne breakouts. Consuming canned foods can result in acne breakouts. Canned foods are foods that cause acne breakouts in adults. Many people like eating canned foods because of its delicious taste. However, they do not know that consumption of canned foods has harmful side effects on your skin. These foods may worsen the acne condition. The canned or processed foods such as chips, cookies, deli meats, frozen chicken sticks, hot pies, and frozen pizzas contain preservatives and additives that are the culprits for clogged pores, the skin inflammation, and acne breakouts. Moreover, unhealthy and harmful chemicals in processed and canned foods also increase the risk of cancer. If you want to have a good health and a glowing skin, you should exclude canned and processed foods from your diet. Known as “dragon eyes”, longan  contains a lot of health and beauty benefits. People love eating longan because it is sweet, fragrant and delicious. Longan is a great source of vitamin A, vitamin C, potassium, magnesium, phosphorous and iron. Because longan is low in calories, it is concluded in a list of healthy nutritious foods for weight loss. However, longan is one of the foods that cause acne breakouts I would like to mention in this article. Over consumption of longan may make your body hot from the inside, which results in acne breakouts. Pregnant women should avoid eating longan too much because it increases the risk of abdominal pain, bleeding and abnormal development in the fetus. Plum is a great source of carotene that can transfer into vitamin A in your body. Vitamin A plays the important role in protecting the eye health. Moreover, plum is loaded with essential nutrients such as phosphorous, potassium, iron, fat and protein. Eating plum also help remove toxins and waste products from your body. Although plum has numerous beneficial nutrients and amazing benefits for your health, it should not be consumed excessively. 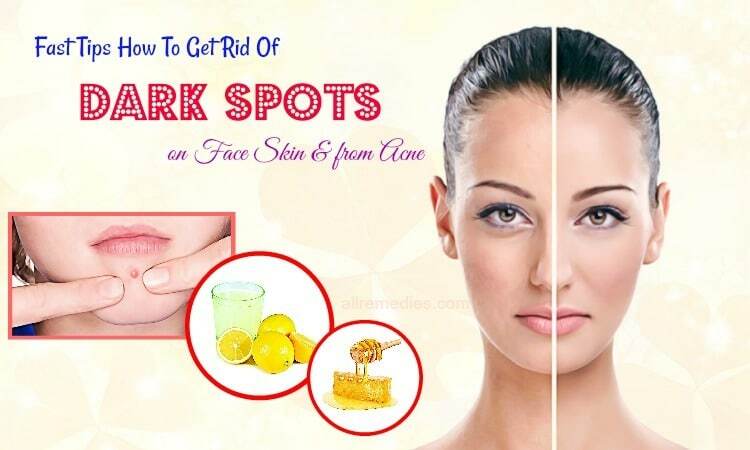 Plum is one of the foods that cause acne breakouts. Overconsumption of plum may increase your body heat, which results in acne breakouts, pimples, and blemishes. Seaweed is rich in iodine that has the ability to make the thyroid function well. People who add seaweed to their diet have glowing and flawless skin. However, seaweed should be consumed in a small amount if you want to get those benefits. Excess intake of iodine is the culprit of acne breakouts, pimples, and blemishes around your mouth and on your nose. 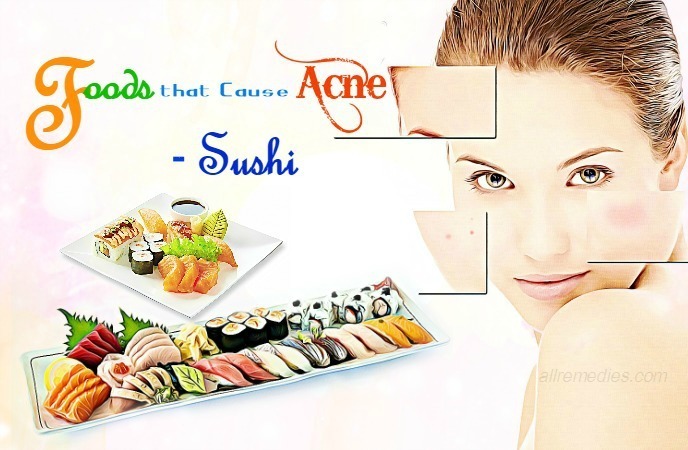 Seaweed is included in a list of foods that cause acne breakouts. If you want to be healthy and beautiful, it is important for you to get enough seaweed and avoid eating too much this food. Star apple is a common fruit in the South of Vietnam. Many people like eating star apple because of its delicious taste. However, eating too much star apple especially in the muggy and hot weather may increase the body heat and lead to acne breakouts. Therefore, I mention star apple in a list of foods that cause acne you should eat in moderation. When you eat star apple, you should remove its peel. Eating the peel off star apple causes not only acne breakouts but also constipation. There are many certain foods that cause acne breakouts in adults and litchi is also listed in these foods. Consuming litchi can increase the body heat that is the culprit of acne breakouts and pimples. If you have acne and pimples around your mouth and on your cheek, foods are the culprits. Maybe you eat too much litchi at once. Pregnant women and people with diabetes and overweight should not eat litchi because it has some unwanted side effects for them. The shrimp is one of the foods that cause acne condition. Allergens found in shrimp are the culprit of skin rashes and acne breakouts. Moreover, shrimp is rich in iodine. Overconsumption of iodine is not good for your skin. Therefore, you should avoid eating shrimp too much to prevent acne breakouts. It does not mean shrimp is a totally bad food. Shrimp is a great source of protein, selenium, calcium, phosphorous and copper. Shrimp contains powerful antioxidants that are effective in reducing inflammation. These are 55 foods that cause acne breakouts in adults I would like to introduce to you in this article. Not all foods I mentioned in the list are unhealthy. The important thing is you should consume them in moderation. To prevent acne breakouts and have a good health, you should maintain a healthy diet, an 8-hour sleep, and regular exercise routine. Do you have any questions about the article “55 foods that cause acne breakouts in adults”? You should feel free to leave your opinions in the comment section. Thank you for reading.